SSC Stenographer 2017 English Preparation Tips: English Language and Comprehension is the only subject which has 100 Marks of weightage out of 200 Marks. It means English Comprehension have fifty percentage ratio of the marks so, it is a good chance for candidates who have good command over the English Language and Comprehension. If you are not good in English then you must read the Tips and Trick to Prepare English for SSC Stenographer. We are here for the support you with the best study material as well as best tips to prepare for the examination. Before going to appear in the examination candidates have to use a proper strategy for crack the English subject. So, if you are going to appear in the SSC Stenographer 2017 Examination then you should go through the below-mentioned details, it will surely help to candidates in getting the better score as well as satisfactory rank. So let's have a glance at some crucial instructions and topics. Most of the candidate, not a prepared any study plan or not follow it sincerely. Candidates must set targets and milestones to achieve the set goals. The achievement of each target gives you the motivation to achieve another goal. So here are some tricks and Preparation tips to crack English in SSC Stenographer 2017 Exam. Below mentioned tips definitely help to candidates in getting well rank as well as satisfactory marks. 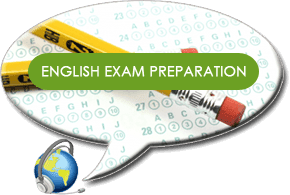 How to Practice English for SSC Stenographer 2017? Generate Confidence: Confidence is a kind of self-motivation and self-motivation must be in a candidate's because it provokes to an applicant. It is most effective when you are reading, learning or doing other activity and Self-confidence is helpful for candidates to get success in the examination. Put Your interest: If you target on creating the right attitude and developing good habits, a candidate can stay interested in succeeding. Candidates have to keep the goal in mind, which always provokes to a candidate in a study. Before starting the study, candidates have to find the interest without interest you not able to learn anything. You required forming a positive drawing in your brain about your studies. Read Synonyms: Synonyms are words that are comparable or have a related mean to another word. Also, sometimes the word you have in mind might not be a maximum appropriate word, which is why searching the right synonym can come in handy. So candidates must go through the synonyms before going to appear in the examination and synonyms have also good weightage of marks. Focus on Grammar: Those candidates are going to appear in the examination they must focus on the grammar because it is a base of English language. Dictionary: Every word of English language is available in the English dictionary, candidates to read the dictionary daily for getting the knowledge of English. Use Authentic Books: “A book is a real friend of Human,” these precious words says by Dr APJ Abdul Kalam. So choose a right book before starts the study it will surely support to candidates in getting better marks. As you know, the English comprehension has 100 marks of weightage in the examination. For your success in staff selection commission steno examination, we provide some important topic which has a circumstance to appear in the examination. In this post, we mentioned all essential information those topics which mostly appear in the exam. We hope that this English Preparation Tips to Crack SSC Stenographer 2017 Exam will support you in getting better marks. If you have any question regarding Syllabus of English for SSC Stenographer 2017, then they must comment here. We will assist you soon as soon possible.